district in the center of Irkutsk, which has changed its meanings several times during its long history. of Architecture and Construction of Irkutsk National Research Technical University. GRIGORYEVA, Elena. brownfield. project baikal, Russian Federation, n. 55, p. 69-69, apr. 2018. ISSN 2309-3072. 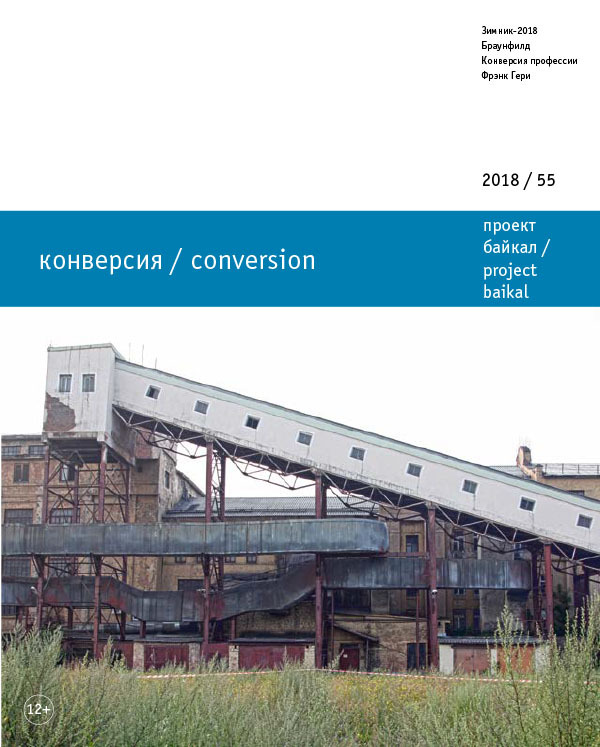 Available at: <http://projectbaikal.com/index.php/pb/article/view/1288>. Date accessed: 25 apr. 2019. doi: https://doi.org/10.7480/projectbaikal.55.1288.